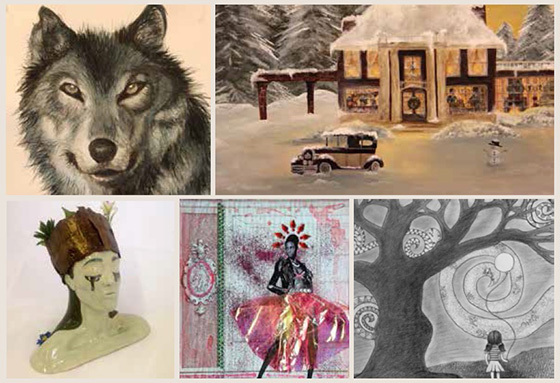 Le Moyne College will host the Annual Student Art Show in the Wilson Art Gallery of the Noreen Reale Falcone Library. The exhibit opens on Friday, April 7, and will run through Friday, May 5, and can be seen during regular library hours. An opening reception will be held in the Wilson Art Gallery on Friday, April 7, from 4 – 6 p.m. The event is free and open to the public. For more information, call (315) 445-4153.